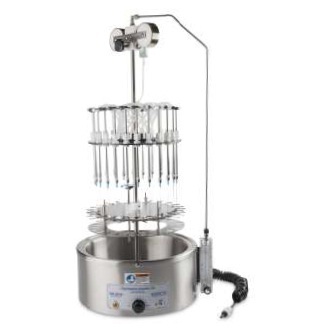 Organomation's nitrogen evaporators (N-EVAPs) are extremely well suited for numerous sample preparation methodologies. We have created a diverse product line with instruments ranging from six to forty-five sample positions. Our nitrogen evaporators utilize adjustable nitrogen blow down technology allowing full control of nitrogen flow to samples, with no wasted nitrogen gas. We combined this technology with uniform efficient heat applied through either water or dry baths. This simultaneously maximizes solvent evaporation in the samples being concentrated and saves the lab money. Our instruments are the most reliable in the field, but if they ever do break down, we provide affordable repair services for all of our instruments and baths. Please continue to our catalogue for more information regarding our nitrogen evaporator products.